No matter who you are, Ashleigh Shelby Rosette has a way of making diversity personal. And it can be truly anything. Rosette once gave a talk after which someone said being short made them feel different. “I’m not just a race and gender scholar, I’m a diversity scholar." Rosette is used to people not wanting to tackle the thorny issues. Sometimes that’s just because they see diversity so narrowly. Rosette is a professor of management and organizations at Duke University’s Fuqua School of Business. She also consults with companies on diversity and leadership, and has seen calls for her services increase significantly over the years. Rosette grew up in a small town in rural east Texas. 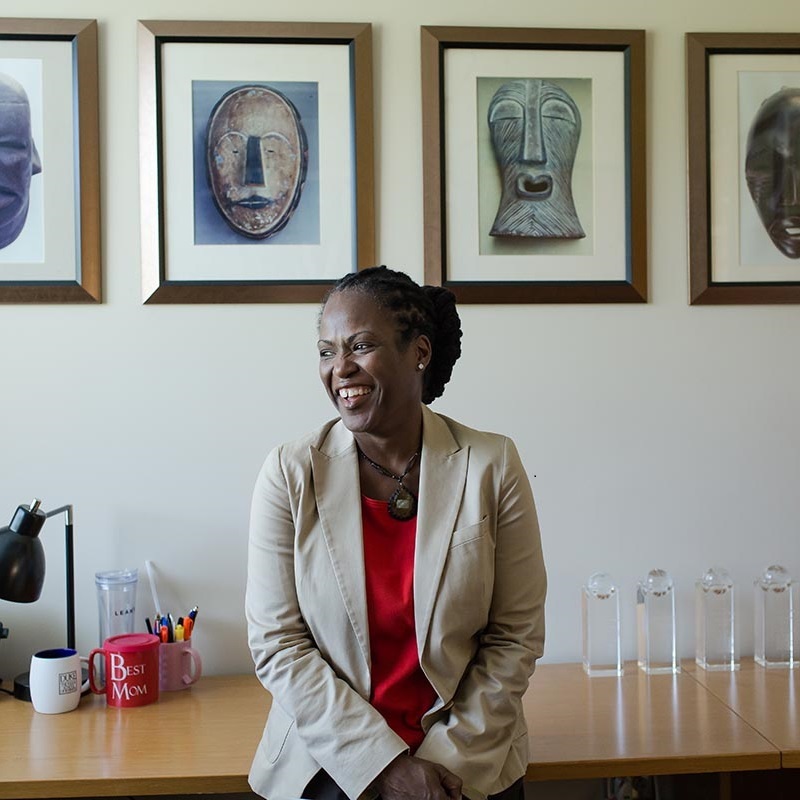 She went to school for accounting, but by the time she went back for her Ph.D. – after a few years working as a CPA for Arthur Andersen – Rosette had decided her interests lie in the area of organizational behavior. At that time there were not many people studying diversity in organizations, she said. "(W)e have this expectation that our business leaders are white"
Rosette’s first research paper on diversity was on the white standard of leadership. “It basically demonstrated that we have this expectation that our business leaders are white, and explored what happens when that expectation isn’t met,” she said. It was 2008, the same year Barack Obama was elected president. People told Rosette her paper was not relevant because the country had a black leader. “We took dinner-table conversation and transformed it into empirical research." In 2012, she published research showing how black college football quarterbacks were judged as less effective leaders than their white counterparts. When their teams won, the black quarterbacks were praised for being great athletes rather than great leaders. But when their teams lost, the black quarterbacks’ athleticism was not questioned, but their leadership was. Studying real-world problems is part of Rosette’s long game. Since publishing the white standard paper, her diversity and leadership research has flourished. Actual social experiences remain the impetus for much of this research. For example, her recent work on intersectionality – the study of simultaneous membership in multiple groups – grew out of conversations with women professionals about their differing work experiences. Her work on gender and negotiations, which noted that women respond differently to men than they do to other women at the bargaining table, was also born from actual experiences and exchanges. Once those best practices are identified, what’s the next step? Change the world.